One of the highlights of the Wild Hare Club year is the return of James HIckman and Dan Cassidy as part of their yearly national tour. 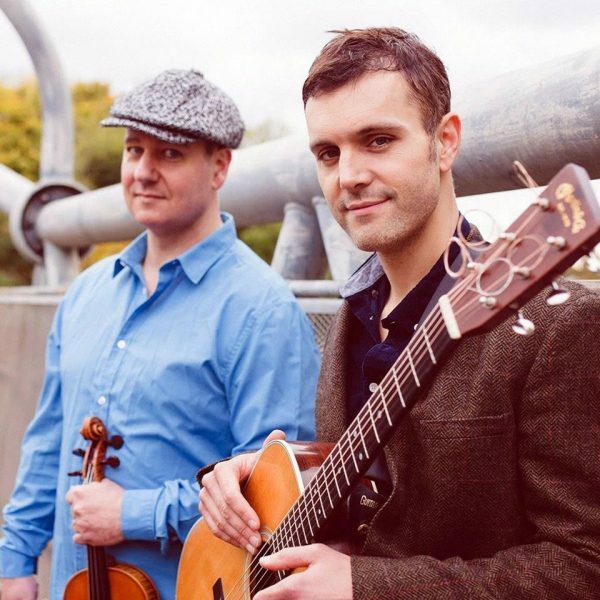 With voice, violin and guitar, this virtuoso duo create a sound that flows from the connection between British and American folk. With their creativity cut loose, they move from original songs, crammed with poignant lyrics to jaw dropping instrumentals and traditional pieces from the US and UK. The lively English wit of Hickman is set against Cassidy’s bone-dry irony and American drawl as they take their audiences on a transatlantic journey bursting with humour, heartbreak and excitement. What’s more, there can be few finer fiddle players on this earth than Dan Cassidy.